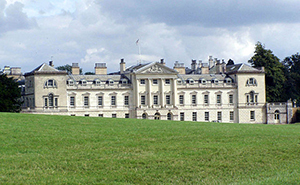 The visit to Woburn Abbey, grade 1 listed, was most enjoyable. 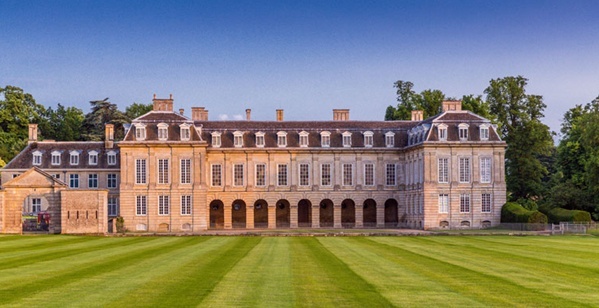 It is the family seat of the Duke of Bedford and is still the family home to the current Duke with extensive landscape gardens and a deer park. We had a private tour of the Abbey viewing the art collection, amongst the finest in private hands, which was wonderful including some 250 paintings, with works by Rubens, Van Dyck, Canaletto and Velasquez. One room holds 22 Canaletto paintings which is the most you can see in a private collection apart from the Queen’s. Moreover, we also saw the collection of the most impressive manufactures of furniture, French and English in many periods, and a diverse and amazing collection of porcelain and silverware. The staff were charming and helpful and the weather was kind which helped to make a most successful visit. Forty eight members had a successful trip to Oxford in beautiful sunshine. 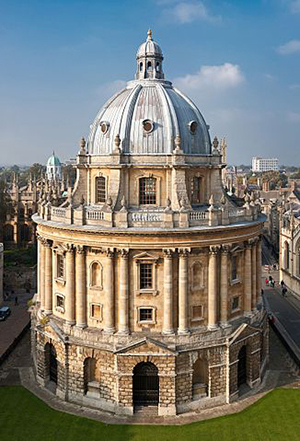 The itinerary included a walking tour of central Oxford with a visit to New College. Here we saw the wonderful “Harry Potteresque” dining room, beautiful stain glass windows, wood carvings, brasses and gardens. After lunch there was a lecture by the director of Education at the Ashmolean Museum on the history and highlights of the collections. We ended the day with free time to further explore the Museum and Oxford. © CopyrightPhilip Halling and licensed for reuse under the Creative Commons license. 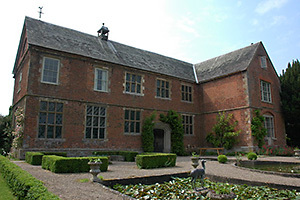 Members enjoyed an excellent visit to Hellens Manor in Herefordshire. This is one of the oldest buildings in England with some 12th Century foundations and Tudor, Jacobean and Georgian architecture. After an informative guided tour, the day concluded with afternoon tea and cake in the sunshine. The day also included morning coffee, a guided tour and lunch at Weston’s Cider Museum. © Copyright Martin Thirkettle and licensed for reuse under the Creative Commons license. 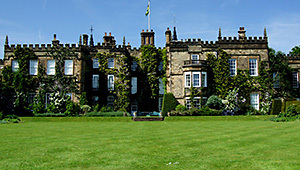 This excursion was to Renishaw Hall, a grade 1 listed country house in Derbyshire. It was built in 1627 by George Sitwell but has been altered over the centuries. It has remained in the Sitwell family and in 2009 the 7th baronet, the nephew of Edith and Osbert, bequeathed it to his daughter, Alexandra. It featured in the 1980 BBC adaptation of Pride and Prejudice and is said to have been Lawrence’s inspiration for Lady Chatterley’s Lover. The house is only open to groups by private arrangement but the gardens, including a highly regarded Italianate garden, are open to the public. 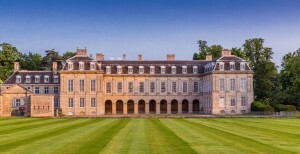 We visited this beautiful home of the Duke of Buccleuch in Northamptonshire and enjoyed a tour of the house and estate. 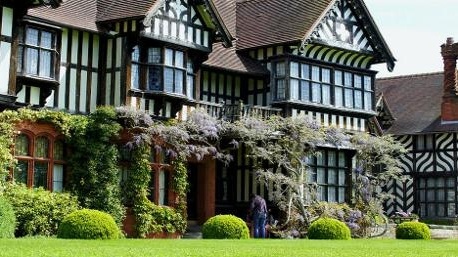 We visited Wightwick Manor, near Wolverhampton, which was built by the Mander family in the Aesthetic style. It also contains many Pre-Raphaelite Brotherhood paintings and other work of art and sits in extensive gardens. 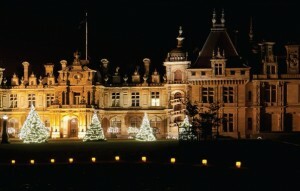 This was the first time that we had visited Waddesdon and it proved to be another successful and very enjoyable visit. The house was beautifully decorated with every room following a different theme but each having a huge Christmas tree. 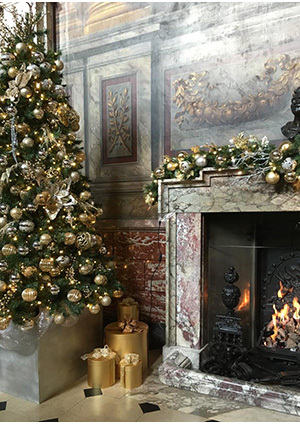 The decorations looked so fresh and as new as they must have looked when the Rothschild family occupied the house. Around the house was a Christmas Fair with many stalls selling food and other seasonal goods to help with the Christmas shopping. We had a superb lunch with turkey and all the trimmings, Christmas pudding with a glass of wine which was perfectly cooked and presented. When it got dark, a light show finished the visit and we all left Waddesdon feeling that the festive season had definitely started. 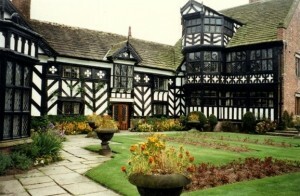 Two historic houses near Macclesfield in Cheshire proved to be another successful visit last August. 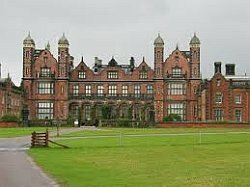 We started at Capesthorne Hall, an 18th century mansion originally designed by Smith of Warwick and set in beautiful grounds, where we had a very interesting and informative tour of the house followed by lunch. We then moved on to Gawsworth Hall, the Tudor-built home of Mr and Mrs Richards, who told us about the history of the house and showed us the beautiful little family chapel with its windows made by William Morris. Once again the sun shone and there was time to visit the gardens and tea room. Both of these privately owned houses showed us how the families had managed to keep and maintain the historic aspects of their homes in the present and also to take on new commercial activities to assist in the upkeep. Wednesday, 13th May 2015 – Chavenage and Berkeley Castle. Last May we visited these two spectacular places in Gloucestershire. At Chevanage we were entertained by members of the Lowesley-Williams family who told us about the history of the house as well as tales relating to the use of the house as Trewith Manor in the BBC TV drama production of Winston Graham’s ‘Poldark’. After a delicious lunch we moved on to Berkeley Castle. This ancient castle has a complex history and is where King Edward II was imprisoned and murdered. There was also an opportunity to visit the butterfly farm and sit in the sun, having a cup of tea before the journey home.